Why should you brush your skin? Skin. It’s the largest organ in the human body and releases over a third of toxins in our body. Dry skin brushing is an effective daily practice to help the body detox and remove these harmful toxins. It also opens and cleans pores. When we dry skin brush, we are massaging and helping our lymphatic system cleanse itself. 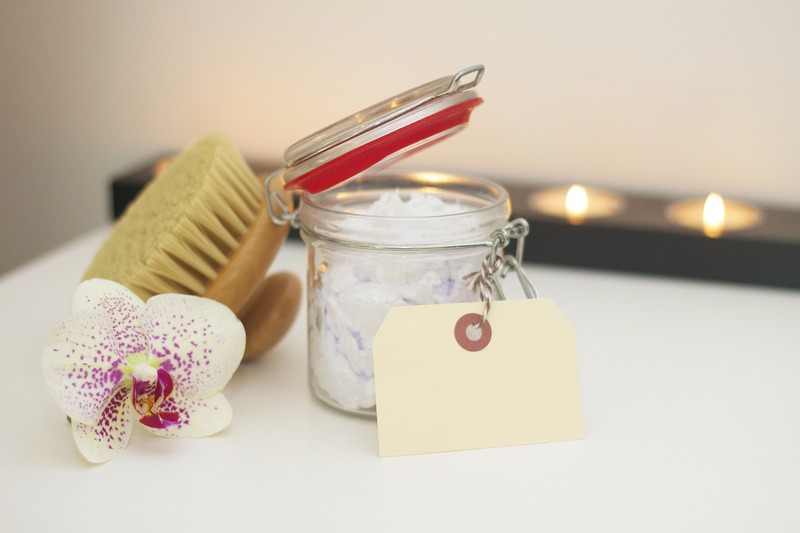 We pull waste from the body as well as remove any lingering surface toxins from soap, environmental factors, lotions, deodorant, and other things to help improve skin health. Get a long-handled, non-synthetic bristle brush. Remove your clothes and stand in the bathtub or on a tiled surface. You will want to do this because you are scraping off dead skin, so you don’t want that to get on your carpet or your rugs. All of your brushing motions should be heart-centered, meaning you will want to have all the motions be moving towards your heart. Start at your feet and use long flowing motions, again, towards your heart. Brush several times in the same area, overlapping your strokes as you continue. Once you have your whole body brushed, hop into the tub or shower. I find that the benefits of an Epsom salt bath are heightened after dry brushing. Alternating cold and hot temperatures help bring the blood back to the top of the skin. Continue this practice daily, and for best results, consider dry brushing twice a day; once in the morning and once before bed. Remember to clean your brush at least once per week. Make dry skin brushing part of your regular self-care routine. While you’re brushing, notice your body, thank it your body and skin for being there for you. Take this time to breathe deeply. (Lungs and breathe are an essential part of our bodies natural detoxification systems.) And again, notice. More important that any specific activity, any ritual, any task, is the process of noticing and listening to our bodies. Enjoy these few moments each day, giving yourself permission and time to notice, breathe, and be gentle with yourself.